Austech 2013, Australia’s precision manufacturing and machine tool exhibition, is inviting small to medium manufacturing businesses to take part in its new and extended Manufacturers Pavilion. The Pavilion highlights the capabilities of Australia’s precision engineering and advanced manufacturing industry. 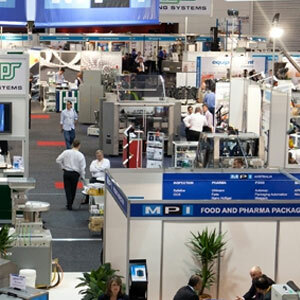 It provides Australian component manufacturers, precision engineering firms, toolmakers, advanced manufacturers and general engineering companies the opportunity to exhibit their unique capabilities to an expected audience of more than 10,000 visitors next year in Melbourne, from 7 to 10 May 2013. One of AMTIL’s supporters in this initiative is SEMMA, a Victoria-based industry group representing more than 200 manufacturers based in South East Melbourne. “The Australian Manufacturing Technology Institute (AMTIL) is working with industry bodies such as SEMMA to provide as many manufacturers as possible with the opportunity to network and tap into local and international supply chains,” explains AMTIL’s CEO and Exhibition Director Shane Infanti. SEMMA CEO Paul Dowling agrees and adds that their members will greatly benefit from this opportunity to promote their capabilities and gain new business. “Networking amongst members will create mutual gain,” he says. “Moreover, our members will have the opportunity to meet CEOs and decision makers from other manufacturing firms, manufacturing network representatives from other regions and countries, and users of manufactured goods. The Melbourne-based Austech exhibition comes at the right time, as Victorian manufacturing has emerged as the nation’s strongest, with 10,000 full-time jobs created in the past year despite a string of high-profile job losses over the past six months, according to the latest ABS figures. According to Dowling, manufacturing in Victoria has a great future due to the innovative attitude and move towards high technology manufacturing, the flexibility associated with the manufacture of small volume and niche products, the rising middle class within China and India demanding niche specialist products/services as well as the respect that Australian manufacturers have within global markets. SEMMA and AMTIL agree that manufacturing in Australia is far from dead and has an important role to play, but it is important that Australia prepares itself for the inevitable slowing down in our mining and energy sector’s growth. There must be greater assistance, particularly to SMEs, to help local manufacturers connect with global and national supply chains, Infanti emphasises. “Australian manufacturers, particularly SMEs, don’t have a reputation for being strong when it comes to marketing and promoting themselves,” Infanti adds. “AMTIL has developed strong services for our members in the areas of exhibitions, publications and online marketing of capabilities. The Manufacturers Pavilion will host 40-50 stands for local companies to promote the capabilities and capacity they have to offer, which is critical in view of international competition. The Manufacturers’ Pavilion initiative is supported by ManufactureLink, SEMMA, AMTIL and the Australian Manufacturing Technology magazine.